I hope all the firefighters come out of this alive, it sounds like they are fighting hard to save what is left…. the Northern Tower. JHJ – must you always post as if you were a microcephalous idiot? But anyway, why would an eternal and omnipresent uber-being allow one of their pimpest cribs to burn down? Right. Stop now or I’ll stop you. No thinking peeps, it’s the law!! Just saw the drone pics on ITV news. Must have been hellish trying to tackle this. Yeah, part of me had a bad feeling about this – I know human lives are worth more than a building but I’m not sure all of the French would agree. This is a national tragedy for them and I suspect the French fire service have probably gone above and beyond what people would expect of them. The interior structure is mostly wood apparently. I don’t see them saving anything. I hope we review the funding out National treasures get in light of this…. I guess some of us will be visiting a 50-70 percent reconstruction in 2039. Paris fire commander Jean-Claude Gallet says that a major accomplishment of the hundreds of firefighters was stopping the flames from spreading to the north tower belfry. Sounds like they have managed to contain it now. You really are a very sad little man who needs to get a life. I hear the Life Shop has a sale on, maybe you could pop down and get one, while there are some left. It’s a proper living building, Notre Dame, parts of the fabric are truly ancient but a lot has been rebuilt or revamped over the years. So I guess it’s a question of what’s really gone and what’s savable and what was less or more important. The tower’s relatively recent frinstance and a lot of the rest was built/rebuilt at roughly the same time. And apparently a lot of the contents were removed for the renovations. The crazy bastards have already managed to recover these…..I mean that place must still be **** smouldering and yet…. Doesn’t sound to me like they stood back and let it run it’s course! I suppose we will know the full story eventually, I’d be riveted hearing it. Macron says the worst has been avoided and that “we will rebuild Notre Dame together”, announcing an international fundraising campaign is to be launched. Swift and strong response from Macron like I suspected would happen. I do wonder why the French state can’t cough up the money though? If it’s anything similar to the way our ancient buildings are protected (in my experience) it will have had very modern cutting edge fire detection systems, it wouldn’t matter a jot as a building like that was never designed to prevent fire spread or assist firefighting actions. The buildings I know about have a very strong ‘salvage’ policy, more about saving the contents than the structure. Efforts would be poured mainly into that. The Paris pompiers are a truly superb fire service, if they couldn’t save it I believe no one could. Very sad but it will no doubt rise again. Cheers Lummox, is it the amount of fire retardant that these fire suppression systems flow – simply not enough to deal with how fast and hard the fire spreads in these kinds of buildings? Can they be improved upon? Yeh incredible response by the French emergency services.. The priority would surely be to stop any spread of the fire to neighbouring buildings though. If only we had this in the UK for the grenfell disaster. .I mean that place must still be **** smouldering and yet…. I think they were going in to grab those whilst the place was still ablaze. Just in case it spread to where they were. Well, I thought it was a total write off when that drone picture was posted. However, it looks like the nutters have managed to limit a lot of the damage to the halls – Guardian sources are saying a lot seems to have survived and it’s the roof and spire that has been gutted. Vaulting has mostly survived the collapse of the medieval roof so interior remarkably intact. The roof was on top of the stone vault. Fire stayed on top of it. 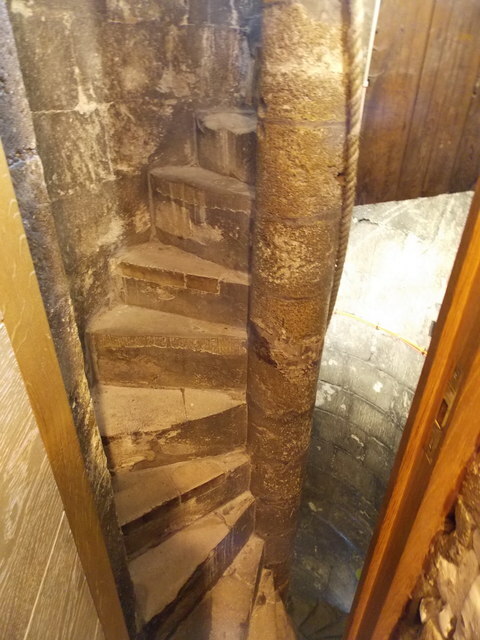 And they were limiting amount of water used to stop the weight of the water collapsing the stone vault. 1000 people were inside when fire started, all evacuated safely. A French family has already pledged 100 millions euros for the renovation. are you saying LFB stood back and did nothing at Grenfell? I’m a big fan of old churches and this is very much a painful thing to witness, been lucky enough to visit many times over the years and it is a lovely building. We were having a walk round at work for insurance assessment and two of the questions immediately asked were regarding the cladding and who it was supplied by and whether it was up to the latest fire certification and then if the roof was vented. If the fire brigade knows all people are out and safe they will not commit people inside in to fire fighting such warehouses. As for fire suppression such as sprinklers it can cause as much total loss to stock as the actual fire. I can’t see how any sprinkler system coukd have been fitted in Notre Dame, it’s not really a viable option for such a building. Genuinely upsetting. We were lucky enough to attend mass there a few years ago and that whole area was my favourite area of Paris. im not a technical fire expert, just a firefighter grunt who has had the pleasure of working in and around some very historical buildings and aware of the firefighting plans. i don’t know if Notre Dame had any kind of fixed firefighting system, like alarm systems or sprinklers for example. I doubt it had sprinklers as accidental activation would cause just as much damage as a fire themselves. The building I know has a VESDA system (very early smoke detection) system fitted, it’s inconspicuous and very effective at detecting very small amounts of smoke – where there should be none at all. So the alarm will warn of the presence or suspected presence of a fire. The problem comes from the design of the structure and the speed and weight of attack. When most of these historical buildings were built they simply weren’t designed with any knowledge of fire engineering, some fantastic architectural solutions but nothing to prevent fire spread or assist firefighting operations. Fixed firefighting solutions, sprinklers etc rely in part on the structure of the building to assist in their effectiveness. but no one wants to retro fit those features into a great hallway etc. Using Winchester cathedral as an example, however it quite possibly may not be of a similar build to Notre Dame as they were all doing things their way at that time. As a fire service we simply could not get the personnel to the incident, and then to the scene of the fire before it had a chance to take hold. 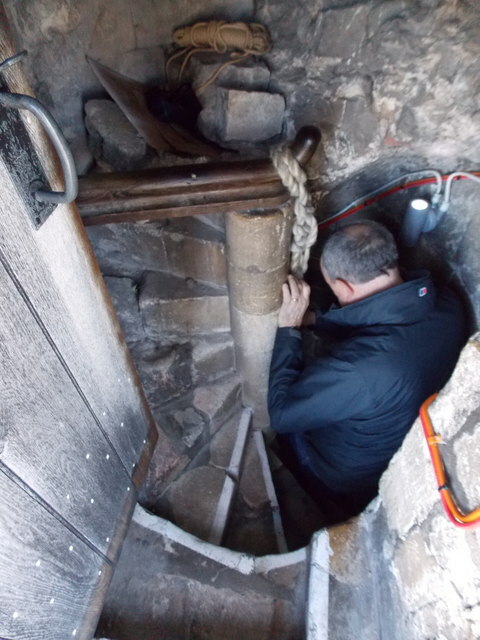 Once it had a foothold extinguishing the fire would be a very tough task, breathing apparatus wearers for example would struggle to use the stairwells. Which means a different tactic must be employed- ie salvage. Knowing these things was one of the reasons I was so against the removal of vehicles and personnel from Winchester. That cathedral is now protected by 4 firefighters day and night, relying on resources being available and getting to the incident. all given to give context to the huge task the pompiers would have faced. Knowing how the Winchester firefighters feel about the cathedral and Winchester as a whole I know how much the pompiers would have endured to save as much of that monument as possible. A friend of mine is doing renovation work on Westminster, in the roof and doing a lot to replace the old timber there..
Wonder what his day will be like today. Was thinking about the Palace of Westminster job – probably the closest equivalent in terms of potential historic loss in this country. announcing an international fundraising campaign is to be launched. Pretty sure the catholic church has more than enough money to rebuild it or the insurance pay out.